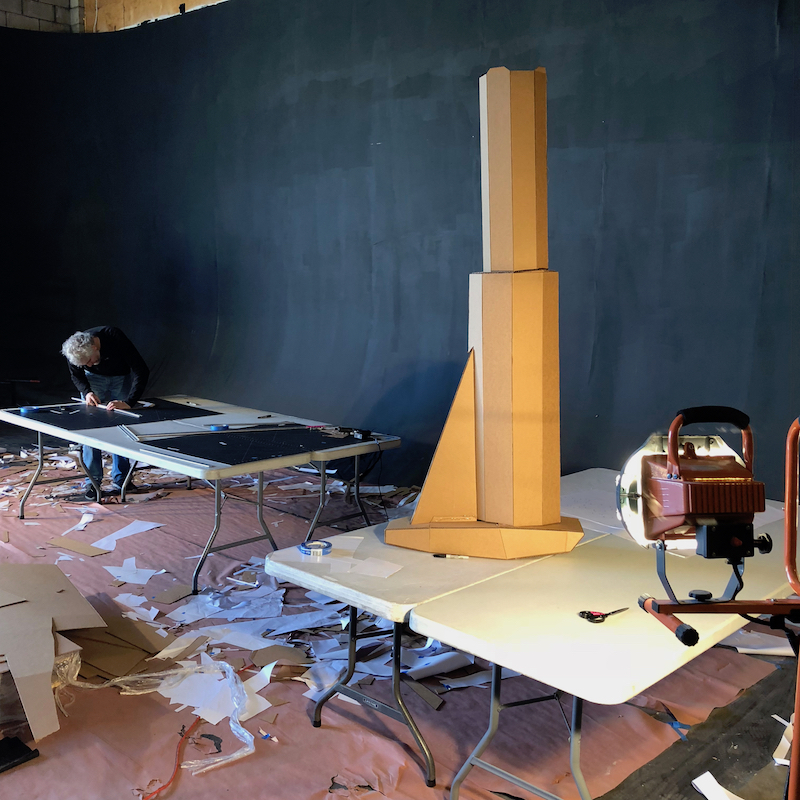 A collaborative project built with artist Pete Froslie. 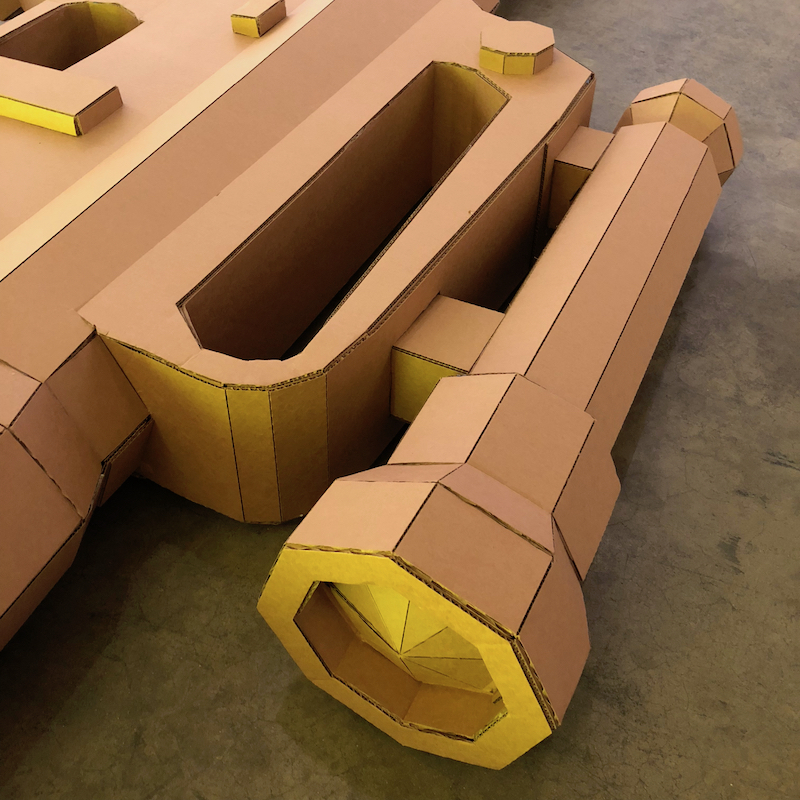 There are 6-10 million AR-15 type semi-automatic weapons in private hands in the United States of America. 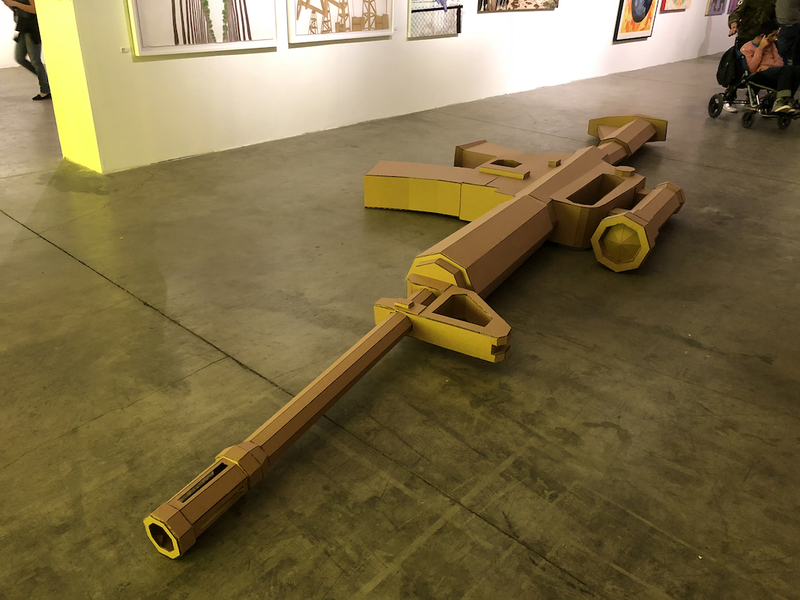 AR-15’s are the civilian version of the rifle commonly used by the US military. 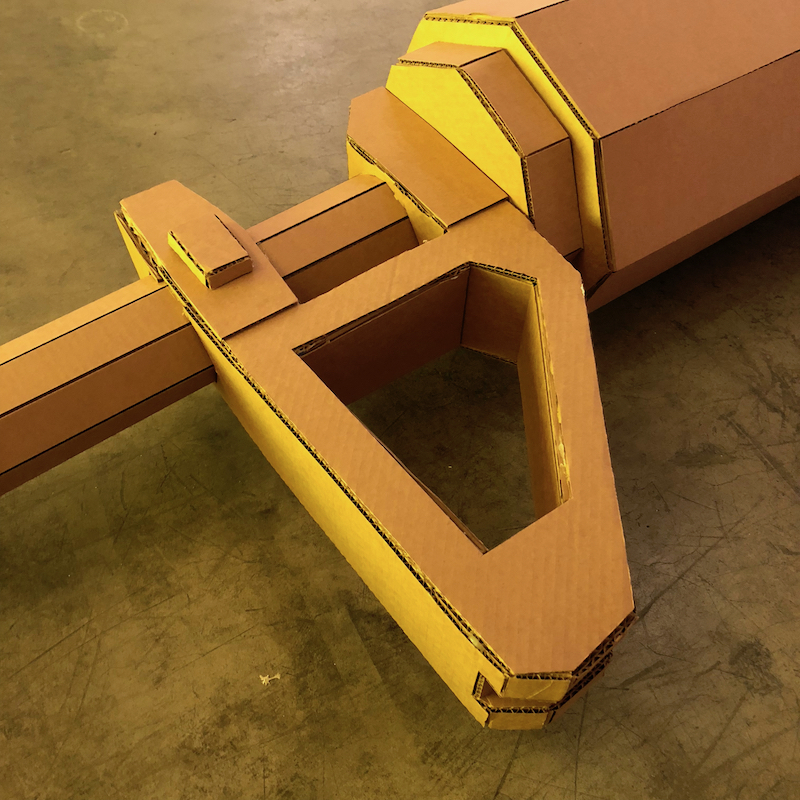 AR-15 style assault rifles have been used in high-profile and deadly mass shootings, among them, Aurora, Colo.; Roseburg, Ore.; San Bernadino, Calif.; Newtown, Conn.; Orlando; and in 2017, Las Vegas and recently at the Al Noor Mosque and the Linwood Islamic Centre in Christchurch, New Zealand. 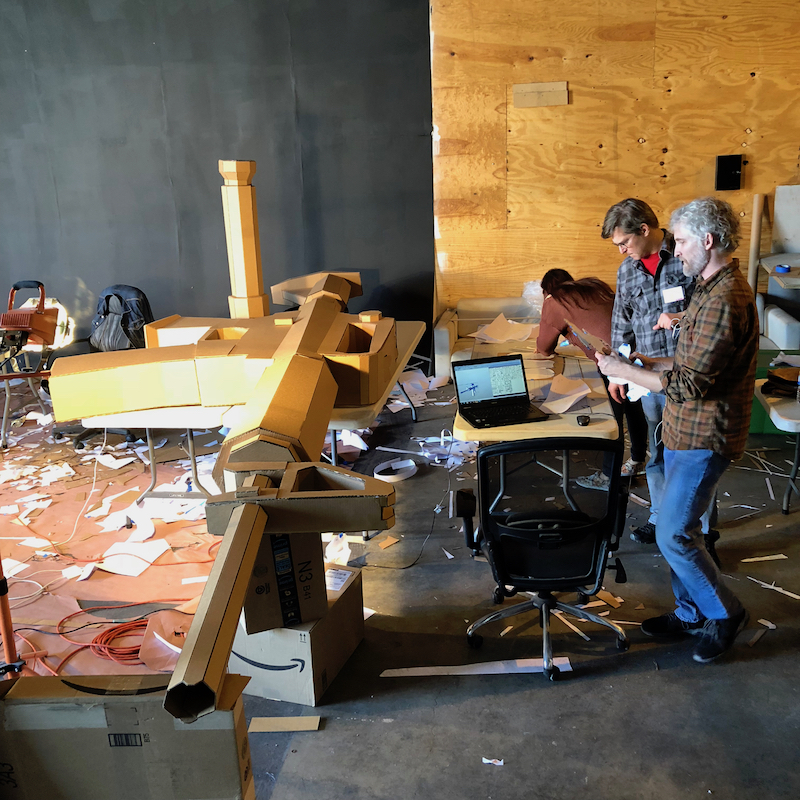 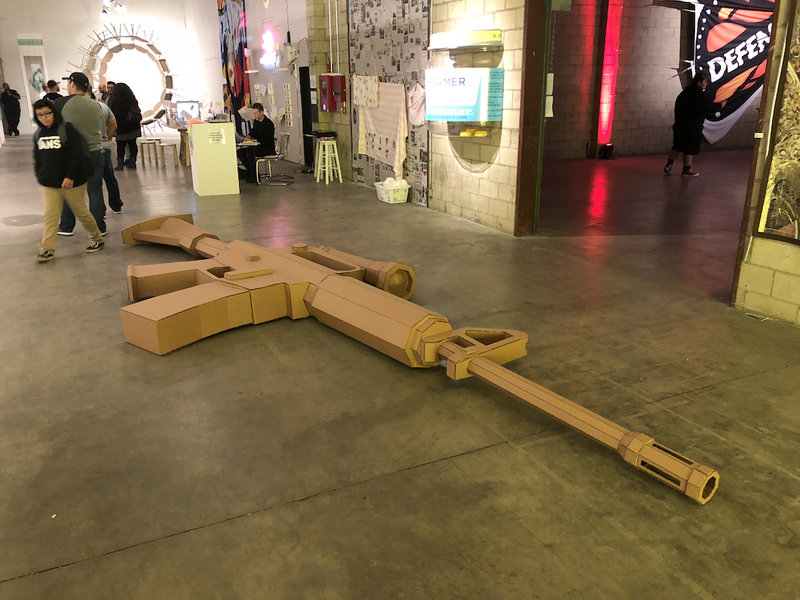 “Thoughts and Prayers” is a work that simply recreates a massive 20’ cardboard sculpture of an AR15 assault rifle was created on site working with volunteers in Los Angeles, California as part of the "Into Action" pop-up exhibition. 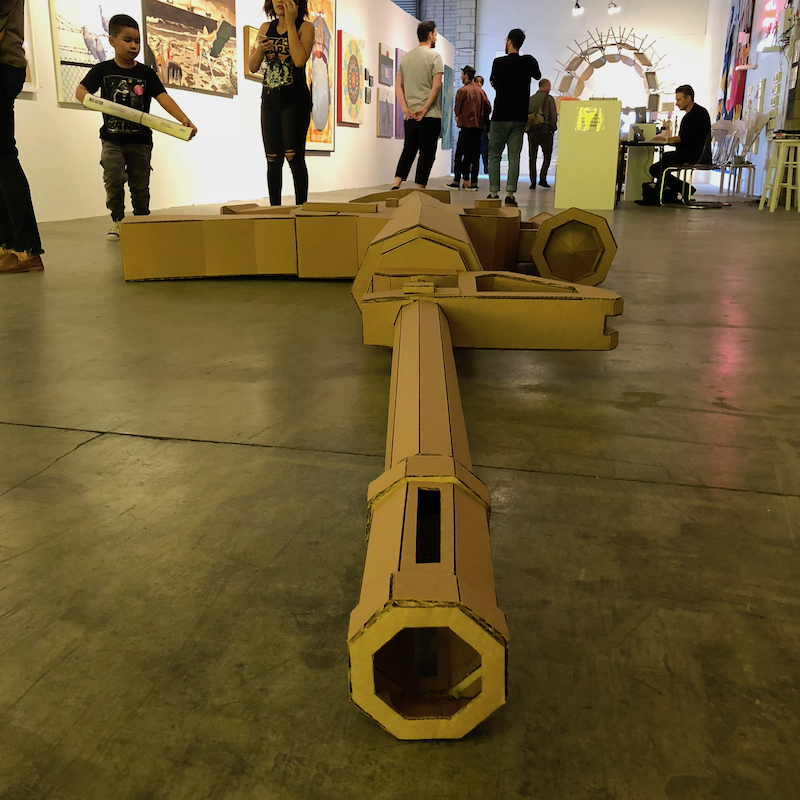 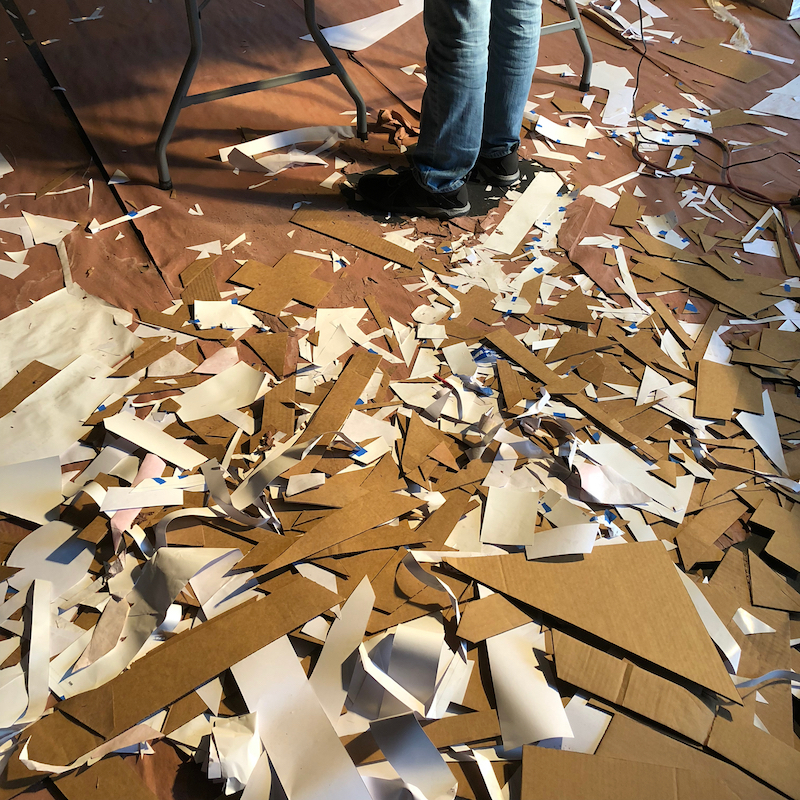 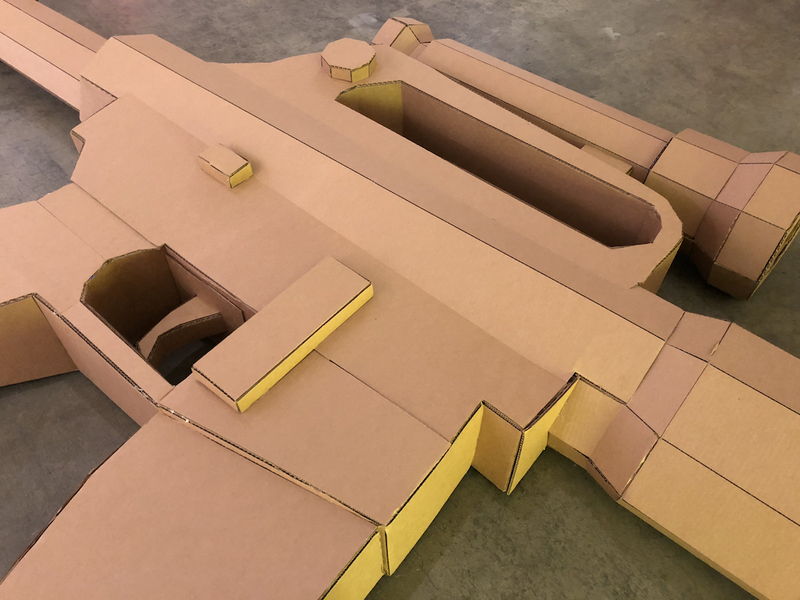 The cardboard AR15 was laid on it’s side in the center of the gallery space. 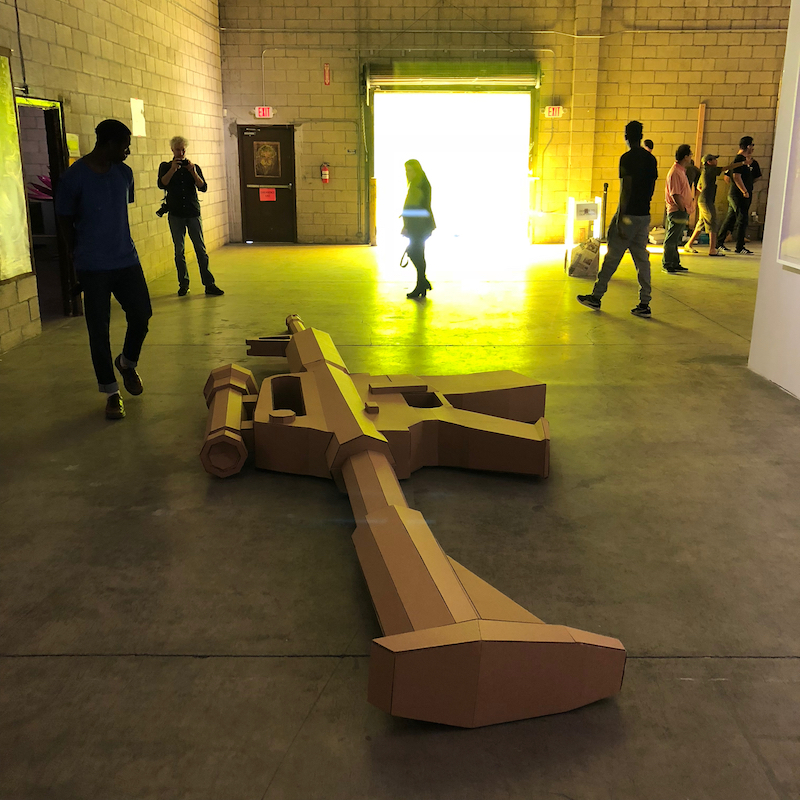 The work is meant to physically and symbolically represent the seemingly intractable issue of gun violence in the United States while at the same time providing a rebuttal of sorts to the “thoughts and prayers” so often expressed after each seemingly inevitable mass shooting. 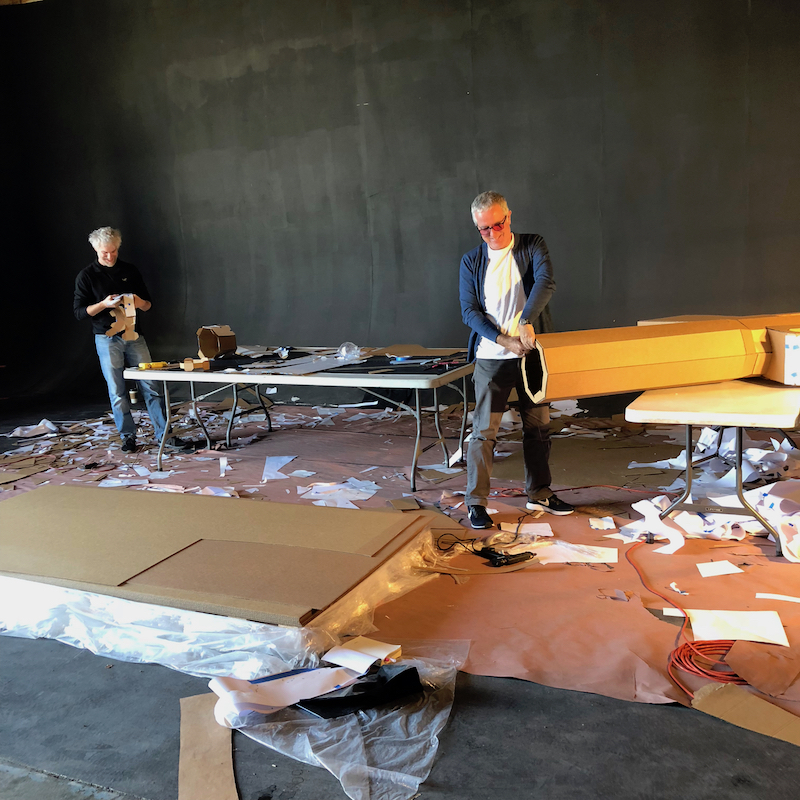 Thoughts and Prayers, 2018 build space "Into Action"